Hair: Blond w/ pink tips. 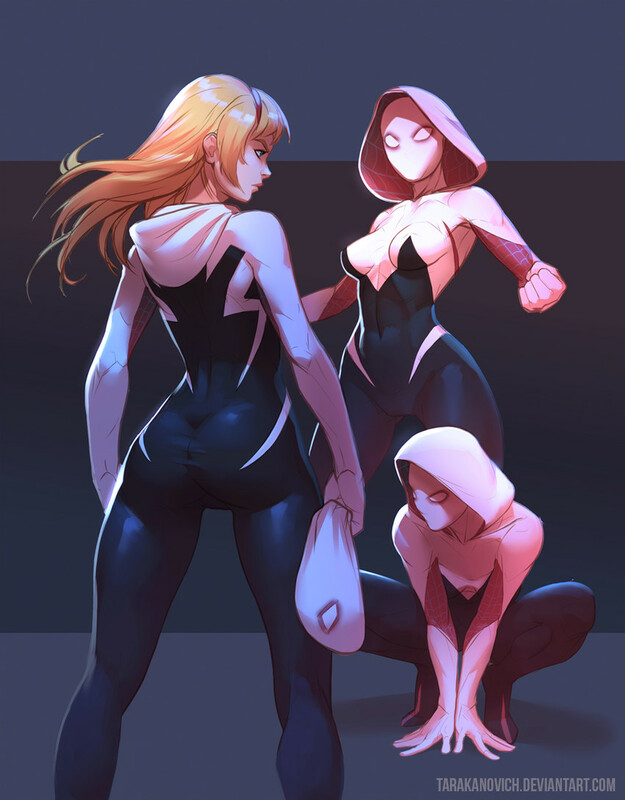 Strategy: Gwen had remarkable control over her movement both on the ground and in the air. She keeps a match moving at a high energy frantic pace, deftly avoiding damage as she exploits openings. Overly chatty in her matches, she likes to poke and prod at her opponents to get them to make mistakes while trying to deal with a torrent of physical and verbal exchanges. Sturdy and hard to keep down for long, while she often avoids damage she can hold her own when going blow for blow.. Despite her less than imposing figure, she hold remarkable strength and is able to make use of a wide range of lifting moves. Graceful and fast, she is incredibly difficult to pin down. Her grace falters when she takes hits, but she is more than capable of rolling with the punches. Hard to keep a good spider down. Her technique in is remarkable, able to seamlessly transition from move to move. Hard and quick strikes, normally used when they can cause meaningful damage. She prefers to stay mobile, hunkering down for submissions would be so boring. She moves whipping out feats of strength, she will almost always go for high impacts moves if she can get her opponent off the ground. Where she excels. Flips, somersaults, flash, flair, and debonair. She is able to convert strikes into throws with relative ease. Web Swing: Variant of a giant swing. Gwen takes an opponent by the legs, leaning back and begins to spin the two of them. 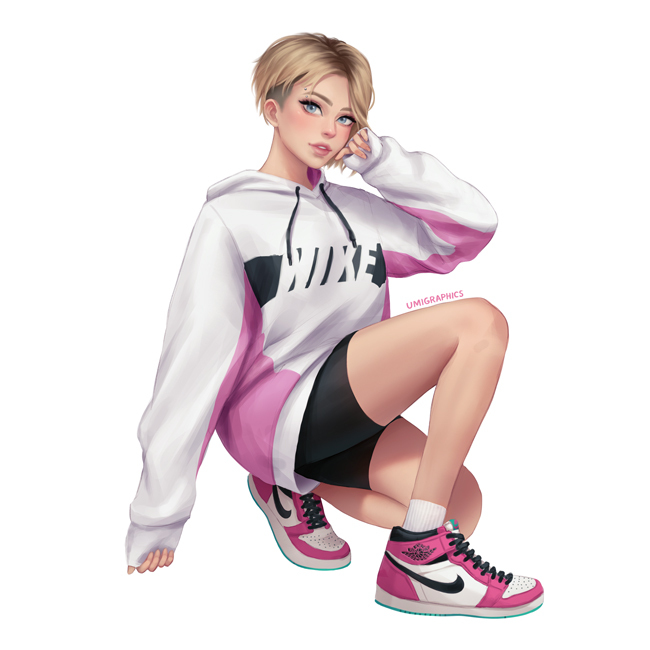 As she builds momentum, she unhooks her arms and lets her opponent start to slide away from her before grabbing hold of their ankles and continuing to spin both of them, getting as much vertical height as she can. She will normally release her opponents into solid objects or throw them clear outside the ring. 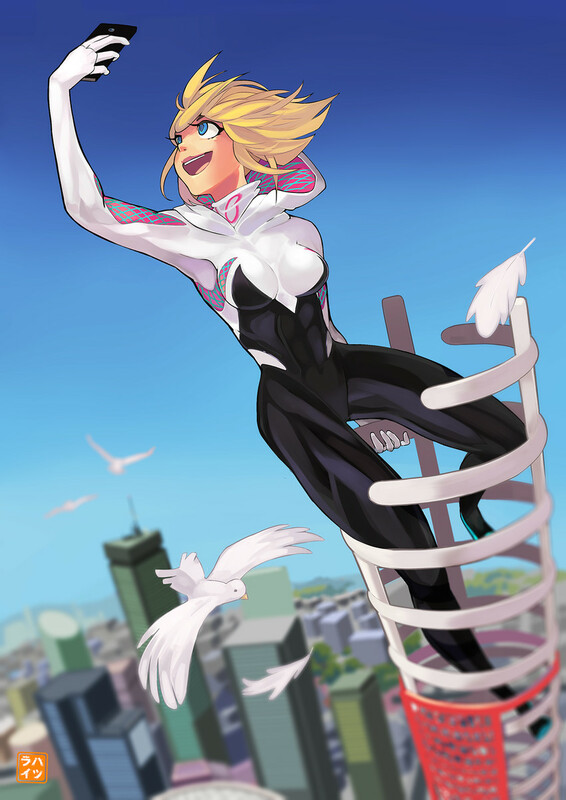 Vulture Dive: A meteora from the top rope, Gwen launches herself at a standing opponent, striking their upper body and shoulders with her knees. She carries her momentum and weight into them, knocking them to the floor with herself on top of them. She can convert this into a pin or mounted punches while seated on their chest. Rhino Charge: A running gore. She will normally take to the ropes to get the most out of her charge, but is able to whip one “out of nowhere” when presented with opportunities. Personality: Gwen has been described by her friends as being spunky. If she isn't sleeping or eating, she HAS to be doing something. Gwen hates staying idle so throws herself at a variety of activities just to stave off any trace of boredom. She is outgoing exceeding, willing to chat with even random strangers on the street if they catch her eye. Always quick with a bit of with or sass, she is chatty to the point of excess. Past/History: Gwen was the full package, atbeletoc, smart, cute… she was always just a bit too modest about it all. While she earned everything she had, it never lead her to look down on people less accomplished than her but rather made her want to help uplift people. She tutored kids for pocket change, stood up to bullies all up through high school, and was an inspiration to her peers as part of the student council. She took part in sports, dance, her schools debate team and even helped form a band between her and her friend that still perform to this day. She thought she had it all, but that was when the wrestling bug bit her. Dragged to a local house show for “Radioactive All-Star Wrestling” she was hesitant at first. Just a bunch of dumb guys throwing each other around and stuff. Though once the show picked up and she witnessed the style and energy of the promotion she immediately fell in love with it all. She wanted to be in that ring doing those sorts of moves… And knew she could. 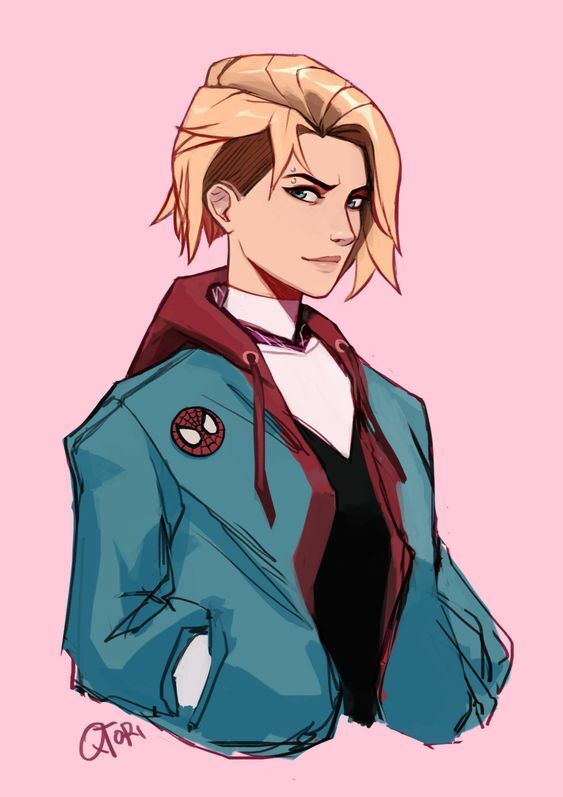 So Spider-Woman was made. A costumed alter ego set to do battle with all the biggest and baddest wrestling heels she could find… it didn't go so hot at first. Even in defeat however she learned and grew, until one day she found her rhythm and started an upward tread that sees her joining AFW today. 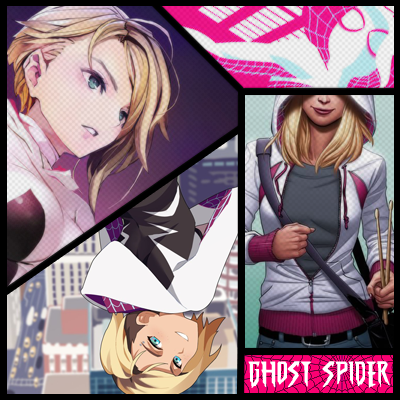 She recently rebranded herself to Ghost Spider to appeal to the Japanese crowds and nlthe name seems to be going over well. It's been a hassle to lead the double life split between wrestling and performing with her bandmates, but she hopes to keep things going for as long as she can. Rock Out: Gwen first came over to Japan while on tour with the band the Mary Janes which she is the drummer for. 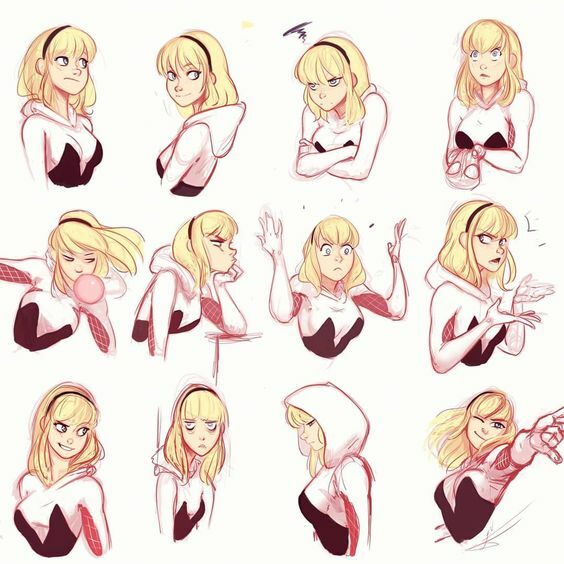 Spider Dance: Prior to training for wrestling, Gwen was an accomplished ballerina and contemporary dancing in high school. She pays homage to this with the shoes of her costume. Web of Lies: She has a keen eye for details and can oftentimes pick up on when she is being mislead or lied to by people. Opponents who might try cheap tricks or sucker punches will find she can react incredibly fast in those circumstances almost as if she had a sixth sense. Friendly Neighborhood Spidergirl: She will almost always take the time to sign autographs, take pictures, and hang out with fans. 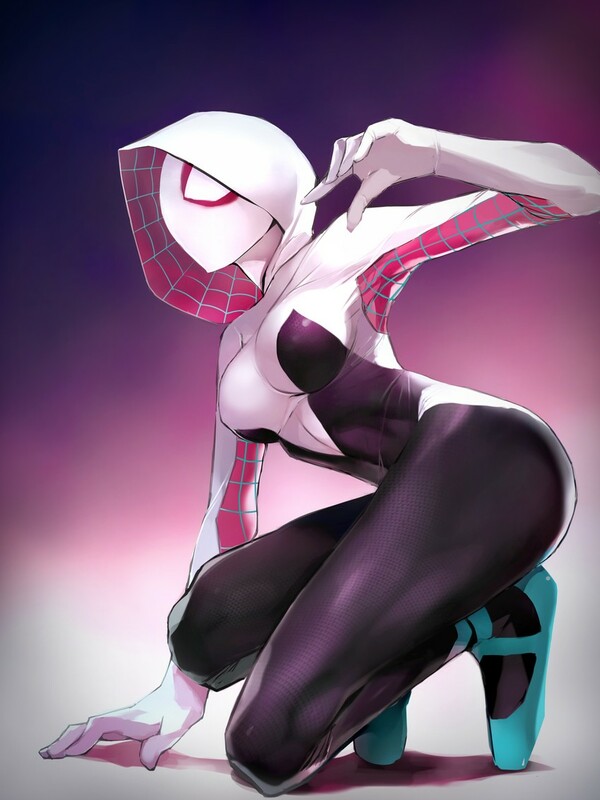 Web Shooter: Her punches and kicks are incredibly stiff, able to compete with striking specialists. Baddies Beware: Bullies get what's coming to them. 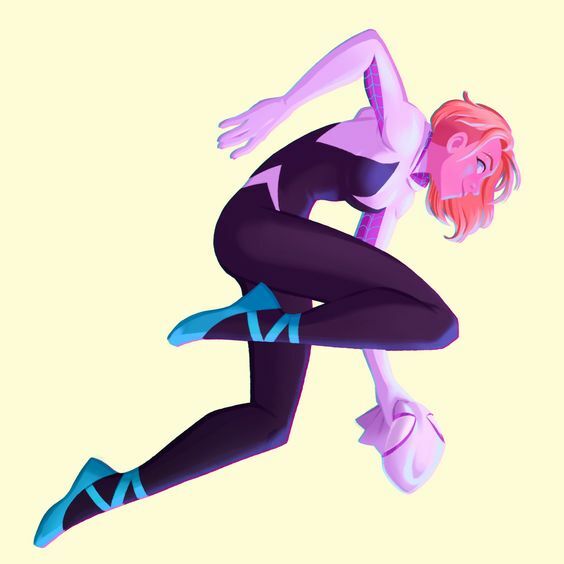 Ghost Spider hunts down heels to make them pay for their misdeeds. Proper permissions gained to make use of this design from the other holder.